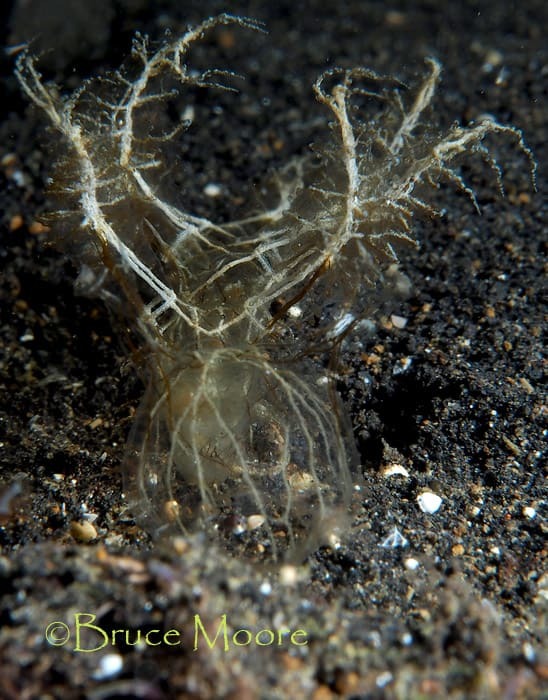 We had an noteworthy find recently: something from the genus Melibe, which has some very interesting members. 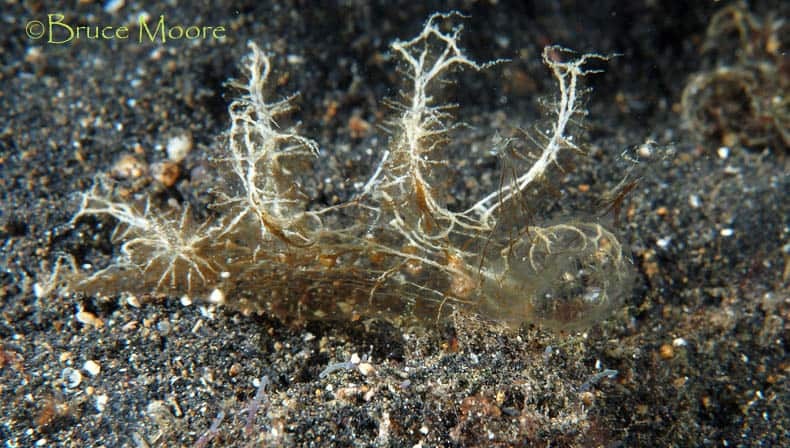 Over the past year all the resorts in Lembeh have received an increasing number of a single name on the wish lists: the Melibe colemani. We have found a few, but they are small, delicate and very hard to find, even when you know where to look. One of our guides thought he had found one recently and I went over to have a look. The M. colemani is white, but this one had brownish markings, so after my initial excitement and a closer look at my photos, I did some research. I’m not 100% sure, but out of the known species, I do believe that this critter is the Melibe rangii, also known as the Melibe engeli. It’s a lovely slug, as you can see. Notice that he’s feeding in each photo… an active individual. I have yet to get snaps of the elusive M. colemani, but I’m not complaining. BSDR House Reef Is Recognized as One of the Best! "This was a phenomenal dive trip and we will be back here on our next visit to Lembeh. Thanks again to Bruce, Fung, and all of the wonderful staff who made our vacation a fantastic one!" "In the 20+ years that we've been diving, in about the same number of different countries, there was only one other place where we went back a second time. But Black Sand? Oh we just couldn't stay away!" "Bruce was often present at meal time, and he is a wealth of knowledge about all things diving, especially Lembeh and critter identification. We really enjoyed our discussions with him. The dive staff was outstanding." Missing it Already and Can't Wait to Return! "We visited Black Sand for the second time because we could not have imagined having better hosts than Bruce and Fung as well the number and variety of great dive sites."